The perfect companion to today's classroom technology including the iPad, iPod, iTouch, Android devices, MP3 players and more. 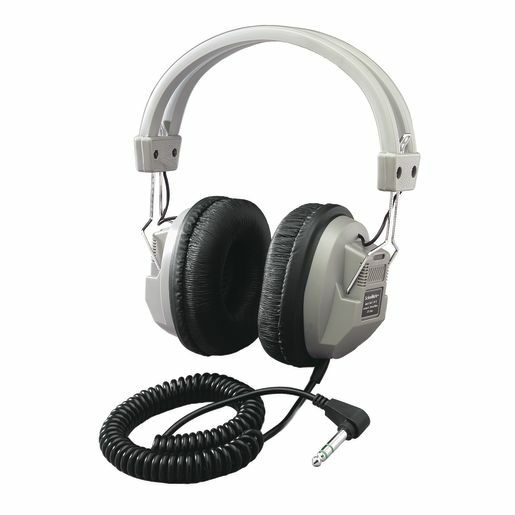 These headphones provide a robust high quality sound to get the most out of their high tech lessons. The noise-isolating, closed-back design of this unit provides a superior learning environment for students. Ideal headphone for testing. Soft coil, swivel ear cups and volume control for greatest comfort of the wearer.